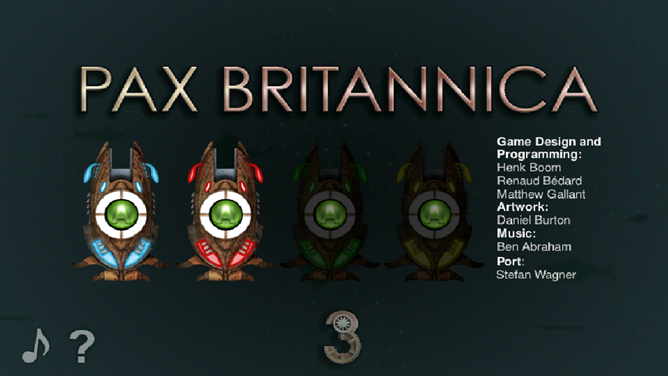 Pax Britannica for Android is a port of the open-source game of the same name. Marketed as "the one button strategy game," Pax lives up to its word. 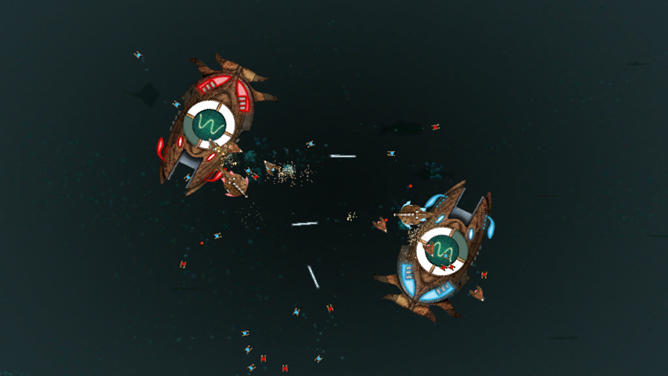 Players take control of an underwater factory ship that is locked in combat with another ship of similar function. Each ship it outfitted with a dial which allows it to spawn individual ships. 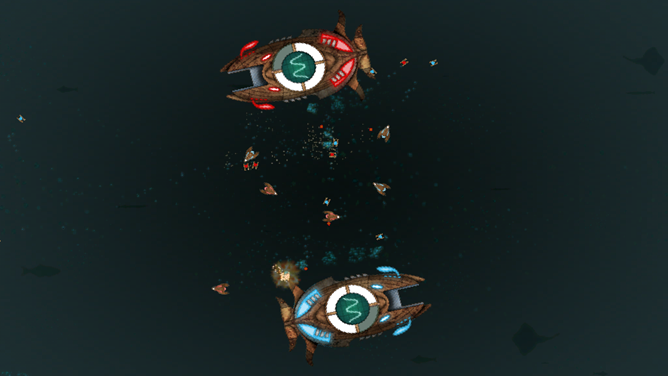 This is accomplished by a player pressing and holding their finger on their assigned section of the screen: the needle on the dial unwinds clockwise, and each quadrant of the dial spawns a different ship. 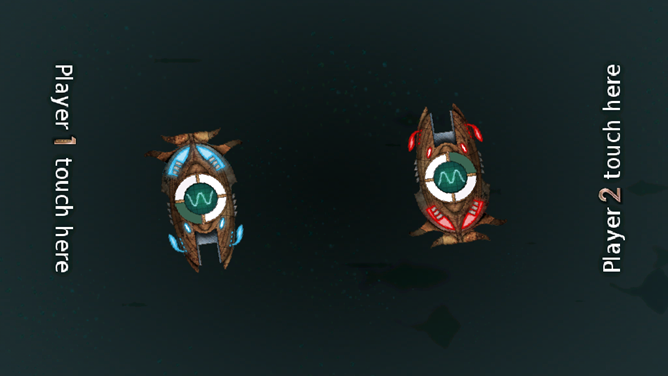 The ships fight using artificial intelligence, and each have their own strengths and weaknesses. 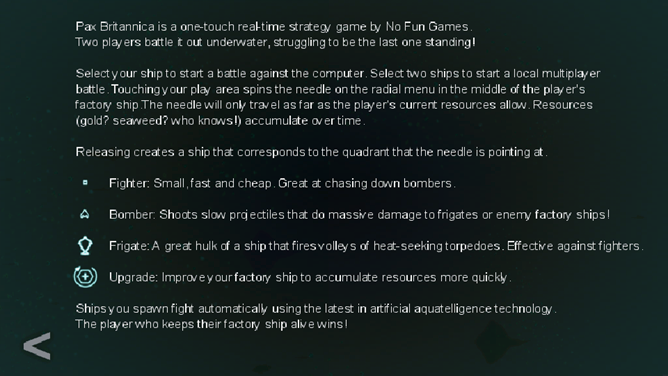 The strategy of this game becomes apparent when you consider that each ship takes a different amount of electricity and time to make. When a quadrant's light grows dim, there are sufficient resources to make it without any trouble. However, the more lit up it is, the longer you'll have to hold the button down to spawn what it represents. 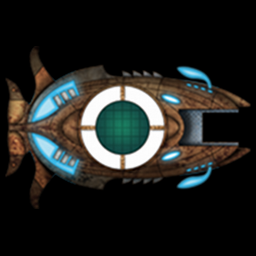 Like any strategy game, you have to think about what's valuable to you: do you spam fighter ships, which are quick to make and physically weak? Or do you save your time and resources for missile boats at the expense of being defenseless in the meantime? The game is actually quite beautiful on the Android platform, running smoothly and to a backdrop of very soothing music. It definitely has the aesthetic of being underwater, but not in a Bioshock, "you're going to drown at any second" sense. 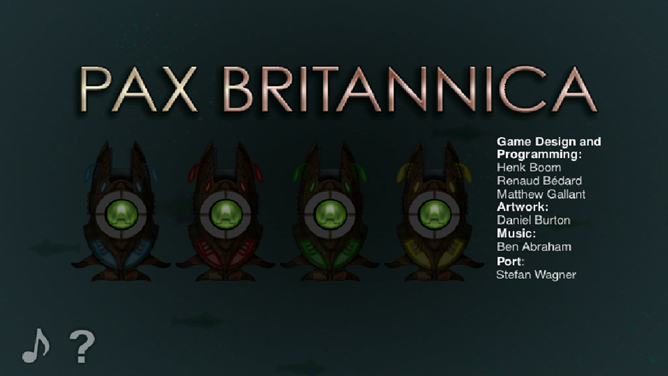 If you'll pardon the nautical pun, though, Pax Britannica isn't too deep, otherwise. You can play against a CPU, but there's only one difficulty level to keep you entertained. This game is made for a person-versus-person situation, and you'll probably get a lot more mileage out of it if you have someone to play with. If you do have someone to regularly challenge (or someone else who's bored on a long trip), Pax Brittanica will serve all your steampunk-y, strategy needs. However, if you're a lonely soul, the game might just serve as a step above some AI-controlled live wallpapers in terms of fun.